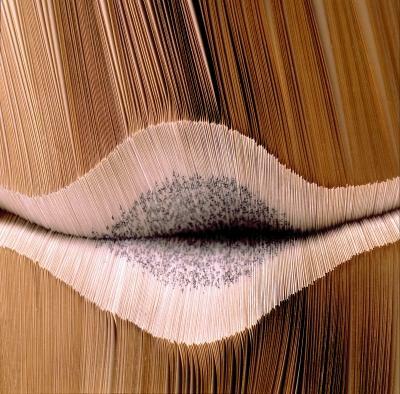 Description: There is an opening folded into an old family bible reminding of a mouth in the very first moment. If the viewer changes his place the form of the object changes too: with this gilt-edged bible, the slightly opened mouth - seen from the front - becomes a fish, the symbol of Christ. The picture on the first page shows a part of this object (turned at 90º).